The attack follows a long string of bombings of planes, trains and transportation facilities, many linked to radical Islamists. ST. PETERSBURG, Russia — Investigators searched for possible accomplices of a 22-year-old native of the Central Asian country of Kyrgyzstan identified as the suicide bomber in the St. Petersburg subway, as residents came to grips Tuesday with the first major terrorist attack in Russia’s second-largest city since the Soviet collapse. The bomber, Akbarzhon Dzhalilov, had lived in St. Petersburg for several years, working as a car repairman and later at a sushi bar. Pages on his social media networks reflected his interest in radical Islam and boxing, but those who met Dzhalilov described him as a calm and friendly man. 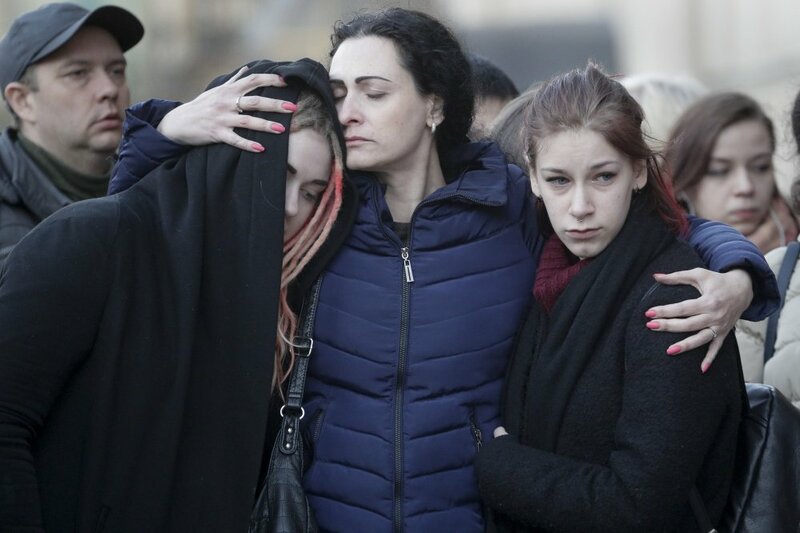 Russia’s health minister raised the death toll to 14, including the bomber. About 50 others remained hospitalized, some in grave condition. Many were students heading home Monday after classes on one of the city’s busy north-south lines. No one has claimed responsibility for the bombing, which came as President Vladimir Putin was visiting his hometown, raising speculation it could have been timed for his trip. The attack follows a long string of bombings of Russian planes, trains and transportation facilities. Many of the attacks were linked to radical Islamists. Before Dzhalilov traveled to St. Petersburg where he eventually got Russian citizenship, his ethnic Uzbek family lived in Osh, the city in southern Kyrgyzstan that saw more than 400 people killed and thousands injured in clashes between ethnic Kyrgyz and minority Uzbeks in 2010. St. Petersburg has a large diaspora of people from Kyrgyzstan and other mostly Muslim former Soviet republics in Central Asia. They have fled ethnic tension, poverty and unemployment for jobs in Russia. While most Central Asian migrants hold temporary work permits or work illegally, thousands have received Russian citizenship in recent decades. Russian media said Dzhalilov worked with his father in a car repair shop and then became a cook at one of the city’s many sushi bars. He stayed in St. Petersburg when his parents moved back to Kyrgyzstan. “He was a non-conflict person. We didn’t expect to hear such news today,” said the woman, who spoke on condition of anonymity because she feared for her personal safety. Neighbors in Osh also described him as a nice and friendly man. Dzhalilov visited his home country about a month ago, and unlike past trips when he traveled directly back to St. Petersburg, he returned via Moscow. Investigators are looking into whether he met possible accomplices in Moscow, according to Russian media reports.